Keeping the air quality in your home the best that it can be starts with central vacuum installation. Many homeowners invest in an air purifier; however, sometimes they need a central vacuum to help in clearing the home of allergens. Installing a power unit that exhausts outside of your home provides the best possible filtration and can also be installed in garages and utility rooms. 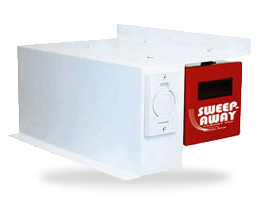 The location of the system is crucial because it helps to keep dust and other irritating or harmful particles from circulating in the air of your living space. Upon installation, choosing the correct attachments for your machine is a recommended second step. 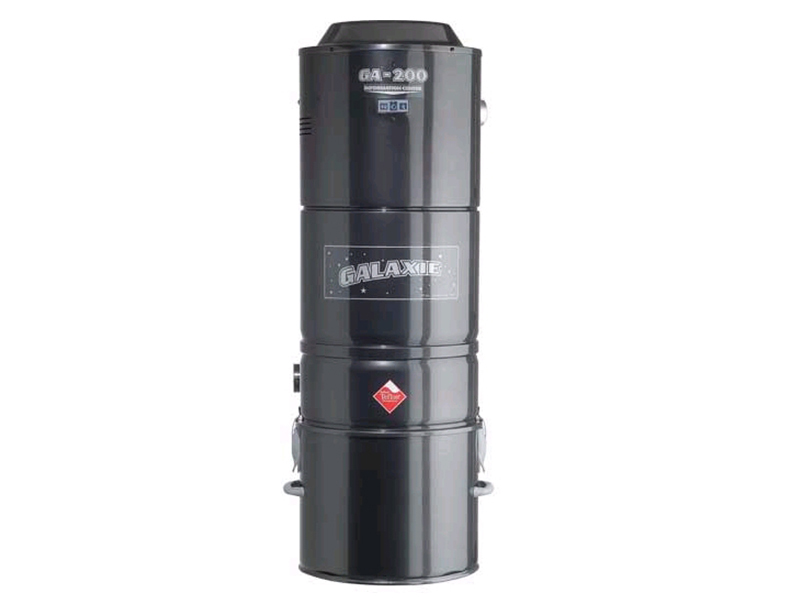 For quality central vacuum accessories, Galaxie is an exceptional choice. Galaxie central vacuum systems have been manufactured since 1965 and are known for their high performance capabilities. Varying with each model are the specifications that help to distinguish which unit will be the best addition to your home or business. Having been industry professionals for over 40 years, their quality could not help but find its way to their available attachment packages as well. 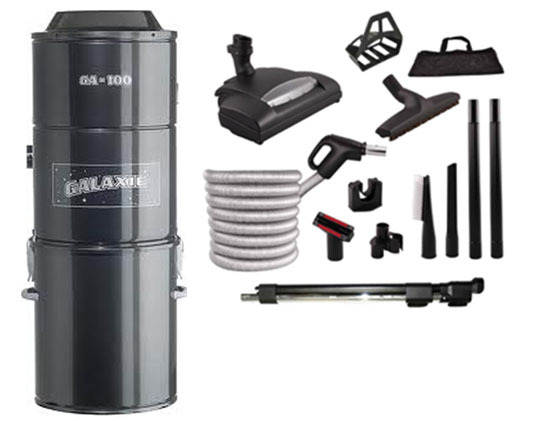 With kits designed to fulfill both direct connect and pig-tail requirements and compatible tools to clean any surface, Galaxie is a highly recommended brand among a sea of competitors. At eVacuumStore we offer a variety of deluxe Galaxie accessory sets; available with a direct connect hose as well as a pig-tail cord. 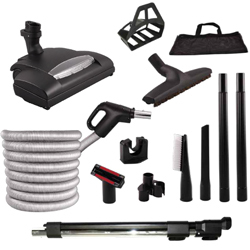 These top of the line central vacuum packages include: a 30 foot crushproof hose with gas pump style grip, two telescopic wands, two plastic wands, a crevice tool, an upholstery tool, a dusting brush, a 13 inch hard surface brush, a 14 inch electric powerhead with a built in headlight, a tool caddy, a storage bag and a hose rack. For professional central vacuum assistance don’t hesitate to contact our customer service department by calling 866-972-8227.